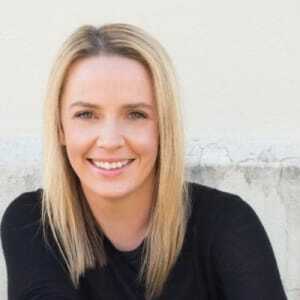 Today we head to Melbourne to speak to Nuffnang Australia managing director, Felicity Grey. Nuffnang Australia is an influencer marketing and social media solutions company across all digital platforms. 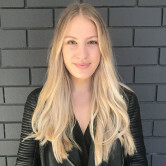 I am responsible for driving growth of Nuffnang in Australia, managing the team of 16, overseeing the successful delivery of more than 300 influencer campaigns per year for Australia’s leading brands and working closely with our Bloggerati talent. Launching our Sydney office last year in partnership with Qantas and Destination New South Wales, we also ran a Bloggerati Getaway. This year we’ve also launched our video offering to produce highly shareable, entertaining and affordable video content which has been very well received by our clients. Our talent have achieved amazing things and we’ve been steadfast in supporting them behind the scenes, it’s not about us, it’s about them; book launches, babies, new businesses, TV and radio and plenty more. The creative guns we get to work with every day. I’ve worked in communications in Victorian State Government, some PR agency time before founding my own PR agency Theory Crew, which partners with some great brands. I love what I do and shaping the success of both influencers and my team. I also love working with the latest developments in digital media, it’s ever changing and keeps you on your toes. I think it’s about transparency. As an industry in its infancy, influencer marketing is largely unregulated so the few influencers that make false claims about their stats can really let the whole industry down. At Nuffnang we’re totally transparent about numbers. We want a long-term, viable and sustainable industry and we're educating brands and agencies on the types of questions to ask influencers before working with them, to ensure they get what they pay for. We believe great content is not all about reach. You can always amplify content to achieve reach, but not everyone can create great content. Be your charming self and actively push yourself out of your comfort zone. Any place where you can order share plates, it’s a great ice-breaker and anywhere not too noisy. I gotta say Chin Chin is up there. Do you need to even ask! Blogs of course. Don’t be afraid of hard work and be fearful of mediocrity. I love communication and I want to work with creative people. If you'd like to take part in our Industry Profile or our new Young Gun profile, please email lindsaybennett@yaffa.com.au.